There’s great comfort in being covered. LATE JULY. New York City. A bedroom on the top floor of a four-story building in which I installed an air conditioner with several thousand too few BTUs. I barely know what a BTU is. The temperature that day reached into the upper 90s Fahrenheit, with humidity just short of actual water. The tiny weak air conditioner struggled to cool the room down while a few feet away I struggled to fall asleep. And yet I was unable to sleep without some sort of covering. In this case it was the barest edge of my lightest sheet, touching the smallest possible part of my torso. Why this compulsion to be covered, however minimally, in order to sleep? Blankets are common, but not universal, to humans during sleep, at least in the modern day. But historically, the effort involved in weaving large sheets put blankets at much too high a price point for most to afford. 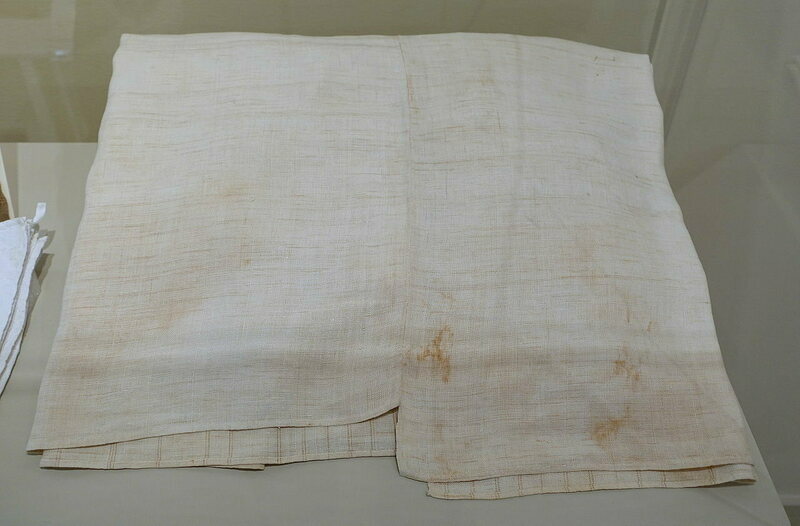 From the linen bedsheets of Egypt around 3500 B.C. to wool sheets during the Roman empire straight through to cotton in medieval Europe, bed coverings were for the wealthy. 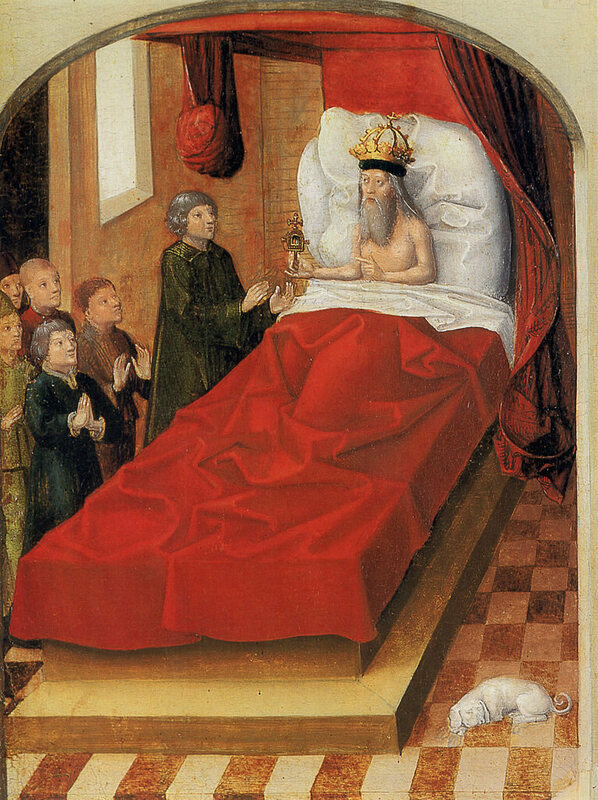 By the Early Modern period in Europe, which followed the Middle Ages, production had increased enough so that more middle-class people could afford bedding, though not easily. 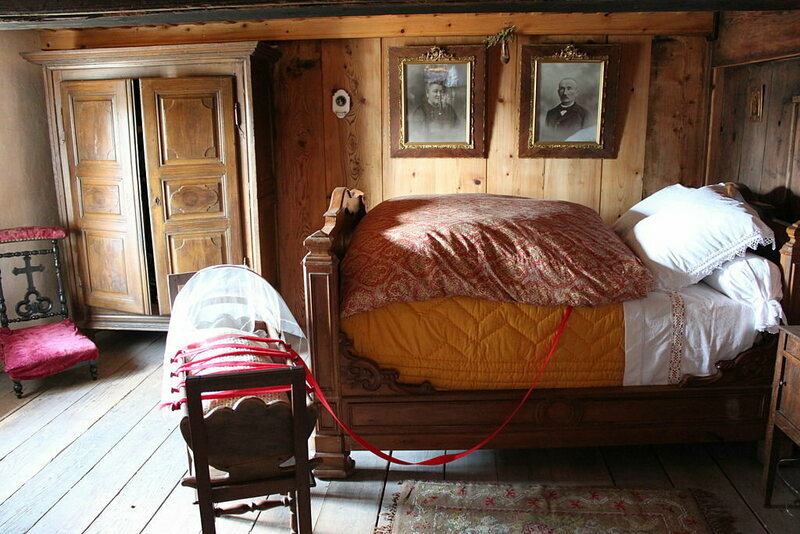 “The bed, throughout Western Europe at this time, was the most expensive item in the house,” says Roger Ekirch, a historian at Virginia Tech who has written extensively about sleep. “It was the first major item that a newly married couple, if they had the wherewithal, would invest in.” The bed and bedding could make up about a third of the total value of an entire household’s possessions, which explains why bedsheets frequently showed up in wills. In place of blankets and sheets, other sources of heat were common at night, usually from multiple people sharing a bed, or often livestock. Today, there’s minimal anthropological work about bedding around the world. The best is a 2002 paper by Carol Worthman and Melissa Melby of Emory University, who compiled a study of sleeping arrangements in different parts of the world. “Recognition of the paucity of anthropological work on sleep is galvanizing: a significant domain of human behavior that claims a third of daily life remains largely overlooked by a discipline dedicated to the holistic study of the human condition,” they wrote. This passes for outrage in an academic paper. The paper looked into some foraging and non-foraging peoples who live in hot climates near the equator, and found that only the nomadic foragers regularly sleep without bed coverings. 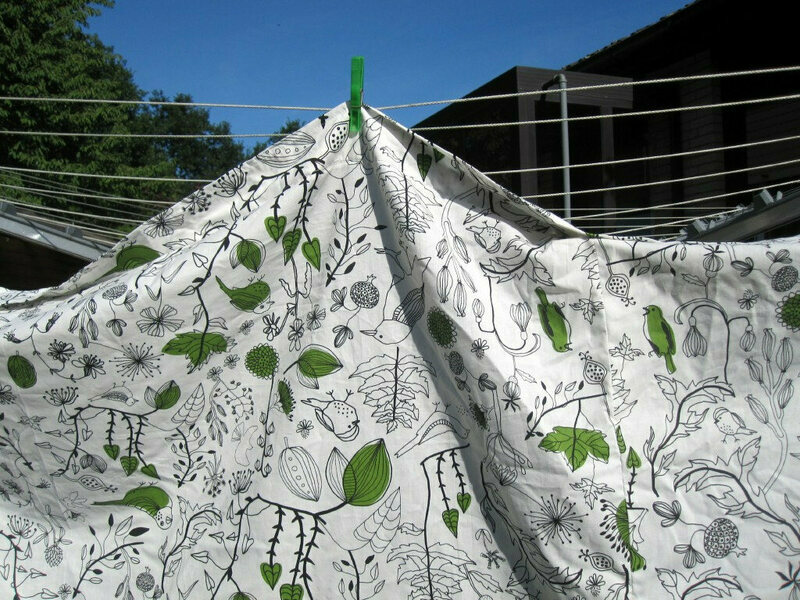 Everyone else uses some form of covering, whether that’s plant matter or woven fabric, even in central Africa and Papua New Guinea, both tropical climates. Much more common than sheets or blankets are some form of padding; basically nobody sleeps simply on the ground as a matter of course. As one more example of the goodness of blankets, there has also been a decent amount of research about the calming effect of weighted blankets, which can weigh up to 30 pounds. Studies indicate that they can curb anxiety and even be used in the treatment of autism. 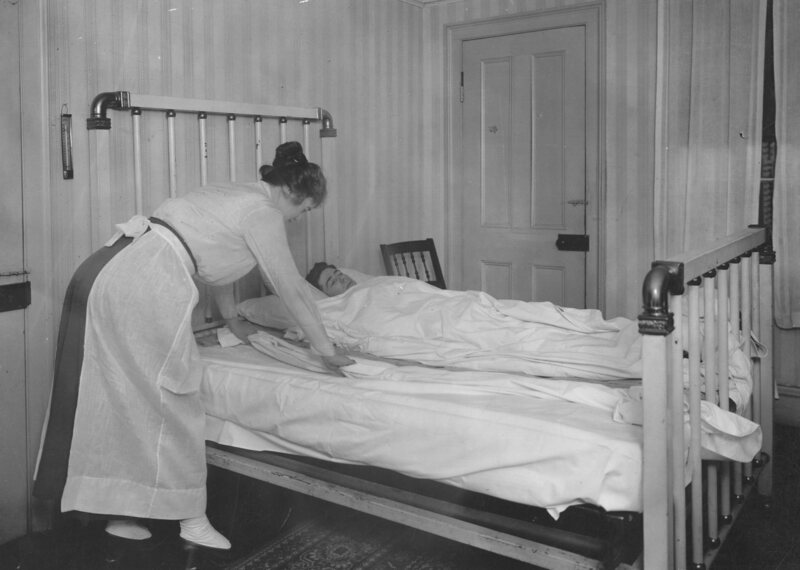 “The requirement for blankets takes on two components to it,” says Dr. Alice Hoagland, the director of the insomnia clinic at the Unity Sleep Disorder Center in Rochester, New York. “There’s a behavioral component and a physiological component.” The latter is a little more clear-cut, so let’s dive into that first. About 60 to 90 minutes before a usual bedtime, the body starts losing core temperature. There’s a physiological explanation for that: when the body is heated, we feel more alert. And conversely, when the body cools down, we tend to feel sleepier. Cooler internal body temperatures are correlated with a rise in melatonin, a hormone that induces sleepiness. A bunch of doctors tested this out by making people wear skinsuits—they kind of look like cycling outfits—that dropped their body temperature just a touch, one or two degrees Fahrenheit, to see if they’d sleep better. They did. Your body’s ability to regulate its own heat gets way more complicated than that at night, though. Say you sleep for eight hours each night. In the first four hours, plus the hour or so before you fall asleep, your body temperature will drop a bit, from around 98 degrees Fahrenheit to around 96 or 97. But the second four hours are marked by periods of rapid eye movement (REM) sleep, a phenomenon in which most of our dreams take place, along with a host of physical changes. One of those physical changes is an inability to thermoregulate. “You almost revert to a more, and this is my word, reptilian form of thermoregulation,” says Hoagland. She says “reptilian” because reptiles are unable to regulate their own body temperature the way we mammals can; instead of sweating and shivering, reptiles have to adjust their temperature through external means, like moving into the sun or into cooler shadows. And for those brief periods of REM sleep, we all turn into lizards. Even in perpetually hot climates, nighttime temperatures drop, and the night is coldest, coincidentally, right at the time when our bodies are freaking out and unable to adjust to it. (The night is coldest right after dawn, in direct contradiction to aphorism.) So, like lizards, we have to have some way to externally regulate our body temperatures. You may think it’s unnecessary to use a blanket at 10 p.m., when it’s still hot, but by 4 a.m., when it’s colder and you’re unable to shiver? You might need it. So we may know from past experience that we’ll thank ourselves later for having a blanket, and thus force ourselves to use one (or at least have one nearby) when going to bed. There’s more to it than that, though. Another strange thing that happens in the REM periods of sleep is that our bodies drastically lower their levels of serotonin, the neurotransmitter most associated with feelings of calm, happiness, and well-being. You know what’s associated with higher levels of serotonin? Blankets. 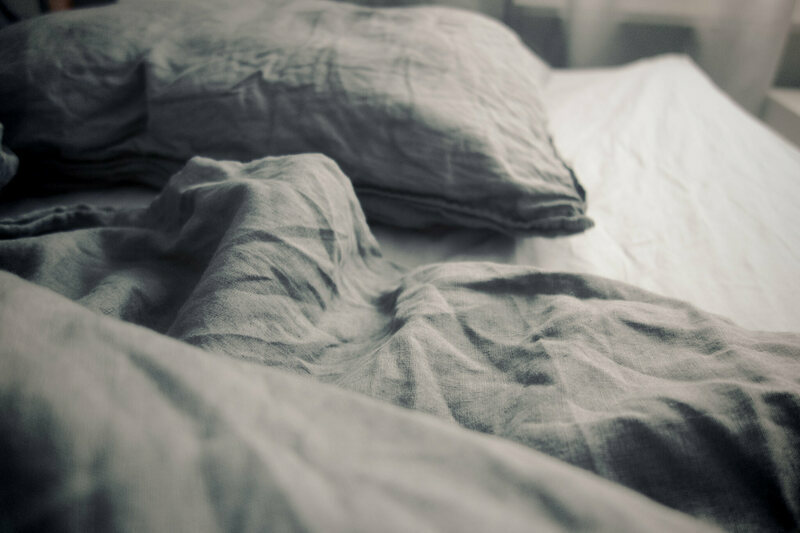 Various studies have indicated that sleeping with a weighted blanket can trigger an uptick in the brain’s production of serotonin. So yet again, the blanket might be filling a need that our REM-addled brains create. The other element that might explain our need for blankets is what Hoagland refers to as “pure conditioning.” “Chances are you were raised to always have a blanket on you when you went to sleep,” she says. “So that’s a version of a transitional object, in sort of Pavlovian way.” Basically, our parents always gave us blankets to sleep with—babies are a bit worse than adults at thermoregulation, meaning they get cold easily, meaning well-meaning adults put blankets on them—and so getting under a sheet or blanket is associated with the process of falling asleep. Instead of Pavlov’s dogs drooling at the sound of a bell, we get sleepy when covered with a sheet. Another possible reason is that blankets are soft and feel good. I could not find any studies that examine the question of whether people like blankets because they’re soft and feel good, so this may remain a great unanswered question.